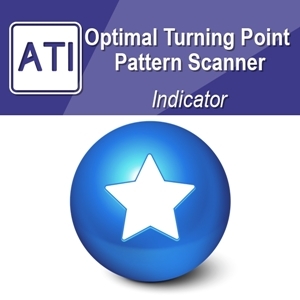 Harmonic Pattern Plus detects the reversal (turning point) patterns in your chart automatically. The software will recommend you to the potential entry and exit for your trading at turning point. With some discretionary thinking together, using Harmonic Pattern Plus is the profitable and convenient way for your trading. With a lot of automation, you have very little work to do for your trading. 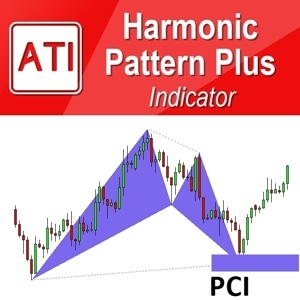 Harmonic Pattern Plus was evolved for many years to meet the needs for the professional traders. As a result, Harmonic Pattern Plus contains many different features and functionalities in one software. Because of this comprehensive feature, starters can get little frustrated at the beginning. However, it is important to remember that everyone evolve to different stage and different mind-set in his or her trading career. It is better not assume anything too quick. As your skills improve with your trading, you will be glad that Harmonic Pattern Plus offers those features and functionalities for your trading. Obviously, there are clear reasons that those feature and functionality are there. You may not see the benefit now but you can see the benefits in the future. Just avoid making too quick assumption or judgement on the software just after few days of using them. It is important to remember that you do not have to use all of features and functionalities at the same time. You will likely to use some features and functionalities depending on your experience and preferences. Please switch off rest of feature and functionality and only leave the features best suit for your needs. In this article, we provide brief description of features in Harmonic Pattern Plus. It is the primary function of Harmonic Pattern Plus. Once the reversal (turning point) pattern is detected, you can anticipate the turning point in the market. It is not bulletproof strategy but many professional trader uses these patterns successfully in the financial market. Since each pattern show the direction of trading, it is not difficult to follow each pattern for your trading. Harmonic Pattern Plus can provide you automatic take profit and stop loss at your desired rewards/risks. For your live trading, you can just tune your actual order according to the provided stop loss and take profits. In addition, the provided custom stop loss and take profit is interactive one. Therefore, you can drag them in your chart to adjust them in real time. I know it is amazing that you can interactively control your stop loss and take profit from your chart. This feature is useful in the fast trading environment because you can think less to produce the right take profit and stop loss targets. 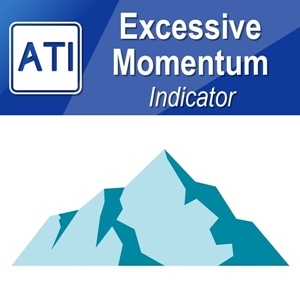 To control the size of take profit or stop loss, simply go to the indicator setting. In the indicator setting, you can control the size of take profit and stop loss as well as many other features. If you want to change anything on take profit and stop loss, just visit the indicator setting first. Pattern Completion Interval Box provides few very important information. Firstly, Pattern completion interval is the basis for our custom takes profit and stop loss levels. Stop loss size 1 equals to one box of pattern completion interval. Secondly, PCI box can help you to identify your worst entry point (median open price). When the pattern is detected, you should aim to enter before the price cross over the median open price. Otherwise, your rewards/risk can be ruined and you have to hold your position longer to achieve the same rewards/risks. Before the median price, you can keep searching for the best entry point where the price can least move against your position. Figure 4: Pattern Completion Interval for Bearish ABCD pattern. Simply speaking potential Reversal zone is the area where three or four Fibonacci levels are converging together. The original concept of Potential Reversal Zone was devised by Scott Carney to identify the final point D of the pattern (we refer the original PRZ of Scott Carney as the PRZ Type A in Harmonic Pattern Plus). In Harmonic Pattern Plus, we go beyond this original concept. We created what we called Potential Reversal Zone Type B (devised by Young Ho Seo). Unlike the original Potential reversal zone devised by Scott Carney, Potential Reversal Zone Type B is constructed after the final point D is formed. Potential Reversal Zone Type B can be used to predict future price movement after harmonic patterns are detected. Price can make reversal or breakout movement around Potential Reversal Type B. You might decide to either cut your profit or trail stop at the PRZ Type B levels. 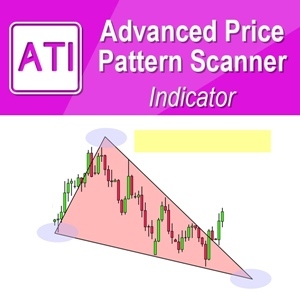 In Harmonic Pattern Plus, you can scan 52 Japanese candlestick patterns automatically. This Japanese candlestick pattern can support your trading decision on top of the reversal harmonic patterns. However, you can only use this features if you prefer to use. It is not a compulsory to use these Japanese candlestick patterns. You can switch on and off this feature from indicator setting too. Visit indicator setting to enable the Japanese candlestick patterns. 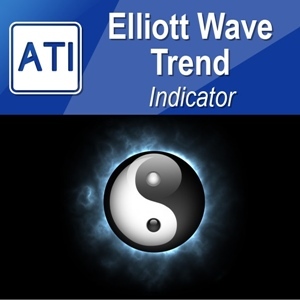 Beside the 52 Japanese candlestick patterns, the automatic channel is another feature to support your trading decision. 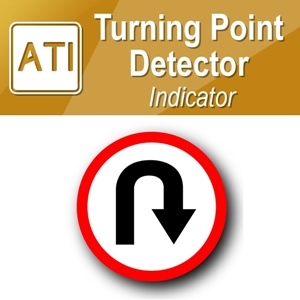 Detection of turning point is much easier when the channel is located together with the pattern. For example, screenshot below shows the bearish turning point detected together with AB=CD pattern and channel together. You can switch on and off this automatic channel from indicator setting too. Visit indicator setting to enable the automatic channel. You will appreciate the power of multiple timeframe pattern analysis. With Harmonic Pattern Plus, you can bring the harmonic patterns in lower timeframe to upper timeframe. Or you can bring the Harmonic Patterns in upper timeframe to lower timeframe. To do this simply use Lock button in your chart. When you lock the pattern in your chart, they will stay even if you change the chart timeframe. In addition, you can even detect D1 and H4 Harmonic Patterns from H1 timeframe chart at the same time. To do so you have to put several Harmonic Pattern Plus into one chart. In addition, it is important to differentiate multiple timeframe pattern analysis from multiple timeframe pattern detection. Multiple timeframe pattern analysis brings the patterns detected in different timeframe into single chart to allow you visually reinforced trading decision. For example, if you have bearish BAT pattern in D1 timeframe and butterfly pattern in EURUSD H1 timeframe, then you have much stronger reason to sell EURUSD. In multiple timeframe pattern detection, you can be alerted when the pattern is detected from different timeframe. However, they will not bring the patterns into your chart. Multiple timeframe pattern detection allows you to monitor the patterns in different timeframe efficiently. For example, if you attach Harmonic Pattern Plus to H1 timeframe EURUSD chart. Then you can still monitor what is happening in another period like M5, M15, M30, H4 and D1etc without actually opening another chart. I think there are even more features you can use than just described features in this article. You can probably try to find out by yourself. For starters, we recommend you to practice these steps on demo account first. 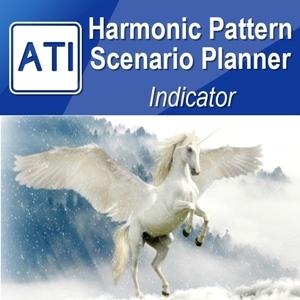 These steps can be applied to Harmonic Pattern Scenario Planner too. Typically, fund management firm or investment banks offer 1 to 3 month initial training for junior traders before they go for the live trading. A. Make sure that you understand the basic secondary confirmation like RSI, other oscillators, or other price action tools. In addition, you need to wait for the 1st candle to complete after the pattern is detected. This is very basic steps for Harmonic Pattern Trading explained in the textbook. Wait for at least one candle. B. The textbook approach in step A can often ruin your rewards/risk ratio due to the late entry (but it is still good to practice the classic entry first). At the first bar after the pattern detection, the price can react dramatically and you can often miss the good entry. Therefore, you will be appreciated to use Pattern Completion Interval to favour your trading entry. For example, try to practice to make entry before the price hit median open price in the PCI box. C. While you are practicing step A and B, understand the number and figure in the Guided Trading Instruction. If Reward/Risk =5, you only need 20% success rate to break even. You can also set your target goal using Guided Trading Instruction. D. You might learn how to use Regression Channel and Japanese candlestick patterns to improve accuracy in your decision. E. Start to trade using PRZ Type B. Now in this stage you can manage your take profit more sensibly. You can decide to cut your profit or to trail stop around the PRZ Type B levels. F. Many Harmonic pattern traders combine Harmonic Pattern Plus with more advanced secondary confirmation techniques. Bring your strategy to more advanced level by fine-tuning with advanced technical analysis. G. You can use Harmonic Pattern Plus with Price Breakout Pattern Scanner. Try to understand how horizontal support and resistance lines (Harmonic Pattern plus) and diagonal support and resistance lines (Price Breakout pattern Scanner) interact together. This step is optional only but the consequence is very powerful.